Closed Circuit Television Cameras (CCTV) systems are an important weapon to survive in today’s world which is plagued by crimes.  CCTV cameras help in the process of curbing criminal menace which is rapidly growing these days. offenders who believe that they Installing high-quality CCTV products scare a crime and get scot-free by hiding under the wrap of anonymity. You can now buy dome, spy and even pen cameras to provide a strict surveillance in your domestic and commercial premises, especially when you relocate, or you are not at home.  CCTV systems are used to keep a vigil on offices, shopping malls, schools, banks and various other places where minute to minute activities need to be covered. Right from keeping an eye on your maid, nanny or on your servant, to checking out who all tried to burge into your house while you were away, you can install high quality CCTV cameras for an overall surveillance system in your home. Flats, apartments and posh complexes in big cities also use high quality CCTV products for keeping a track of visitors. Determine Your Security Needs: Before buying a CCTV camera first decide on your need. Purchase the product in accordance with the location you need to install the camera at. You also need to take into consideration the weather and light conditions of a specific area. There are different kinds of cameras that are available. It includes wireless system, and the IP network system. Decide if you want the option of video recording, you will also need to pick between black &amp; white or color options. Check camera speed: The Video speed is calculated in accordance with the pictures processed in a second or fps (frames per second). Make sure you choose the fps according to the area that needs to be put under surveillance. 5-7 fps is sufficient for residential areas whereas 30 fps and above is required for busy areas like banks. Selecting high power fps CCTV if you don’t need it will be mere wastage of money. Color or monochrome option: You need to select whether you want a color or monochrome camera according to the light in the area where the CCTV camera will be installed.  Look for warranty: Choose a camera that provides a long span of warranty and promises quality performance. Apart from this, also check whether they provide a scanning mode, or are they weatherproof.  Check the packages offered: Before buying a High-quality CCTV product check the packages offered by different brands. It does not cut down the maintenance cost but reduces your budget and gives you a lot of offers on the products. 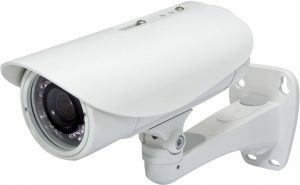 High quality CCTV products are also now available online. You can check the features, warranty and the price and then buy accordingly.